How do I get a Personal Bond at Arraignment on a Warrant? Judges are required in Michigan to consider a multitude of factors when determining what type of bond to give a defendant when he or she is arraigned on a warrant or arrested on a new felony or misdemeanor case in Michigan. If a defendant is arrested and released on an interim bond (one set at the police department), that is not a guarantee that the judge or magistrate at the court will not set a new bond at the date and time of the court arraignment. A personal bond or a personal recognizance bond is one where no money is posted, the defendant merely makes a promise to appear in court and will owe a predetermined amount of money to the court if he or she fails to appear for a hearing or violates a term or condition of the bond. The best chance of having a lenient bond set in a case is having an experienced, zealous retained lawyer who is known for achieving extraordinary results. Judges and magistrates are much more likely to find that a defendant is not a flight risk when he or she has invested in the retention of a paid criminal attorney. Unfortunately for those individuals who do not have the financial wherewithal to hire a Michigan criminal attorney for the arraignment, there is no right to a court appointed attorney in that stage of the proceedings. (i) any other facts bearing on the risk of nonappearance or danger to the public. 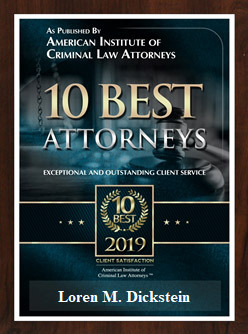 If you or a loved one is charged with or accused of a criminal offense in Michigan and there is or may be an outstanding arrest warrant, you need a Michigan criminal attorney right away. 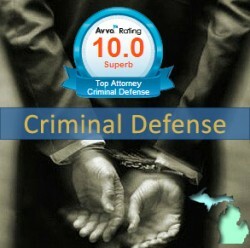 The experienced, passionate and successful criminal lawyers with LEWIS & DICKSTEIN, P.L.L.C. 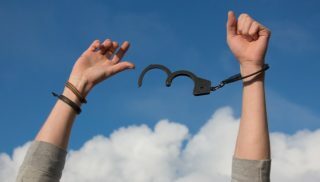 have handled thousands of arraignments and have a track record of successfully achieving personal bonds and low bonds when personal bonds are not possible. We would be happy to consult with you for free and we are available for night and evening consultations when needed (24/7). Most importantly, we are not afraid to win! Please call us at (248) 263-6800 or fill out a Request for Assistance Form and we will promptly contact you. 2000 Town Center, Ste. 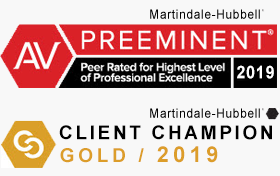 2350 Southfield, MI 48075 Lewis & Dickstein are Criminal Defense Attorneys located in Southfield, Michigan and servicing areas such as West Bloomfield MI, Troy MI, Farmington Hills MI, Macomb County MI, Rochester Hills, Bloomfield Hills MI, Oakland County MI and many more. Give them a call for all of your Criminal Defense Attorney, Defense Lawyer, Felony Lawyer, Misdemeanor Attorney needs and more. © 2019 Lewis and Dickstein.